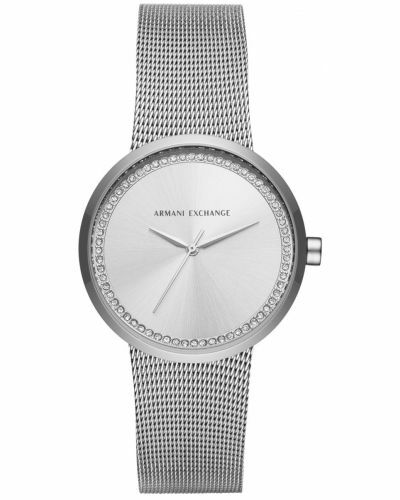 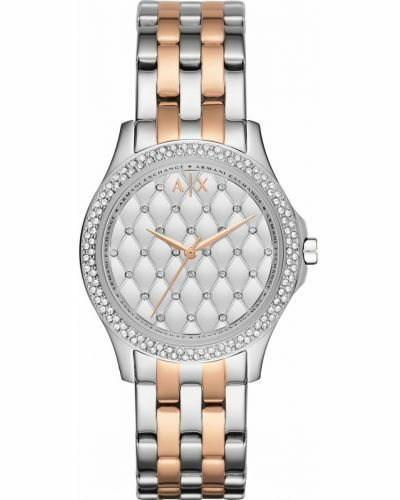 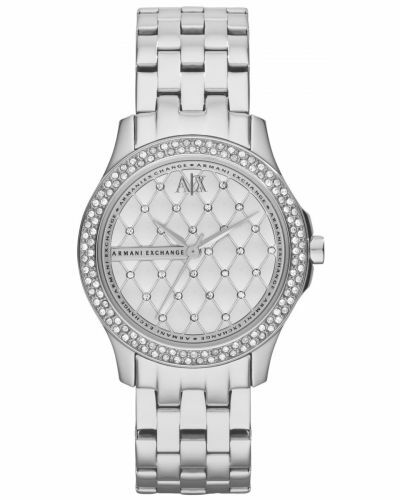 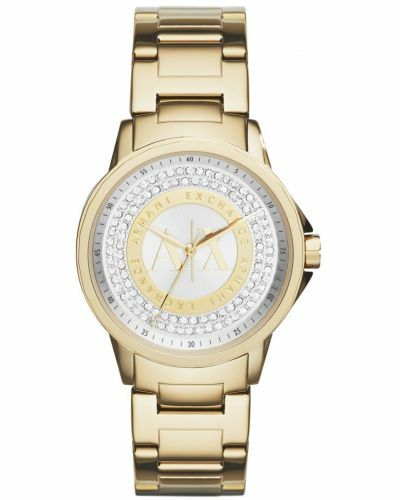 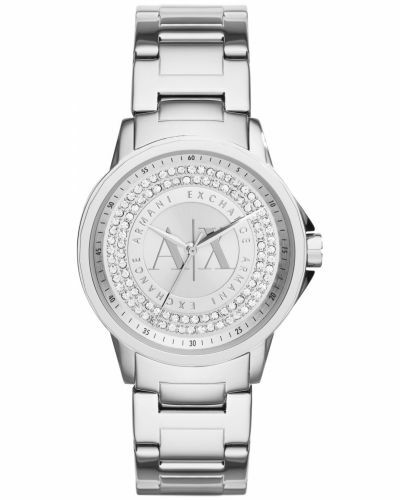 This stunning women's two tone watch is brought to you by Armani Exchange. 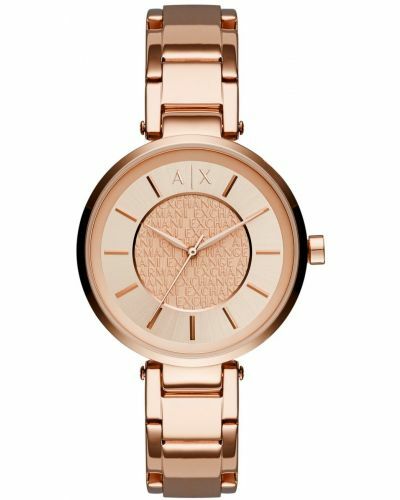 Featuring a beautiful 35mm round polished stainless steel case with a complimentary rose gold plated bezel in which houses a iridescent white mother of pearl dial. 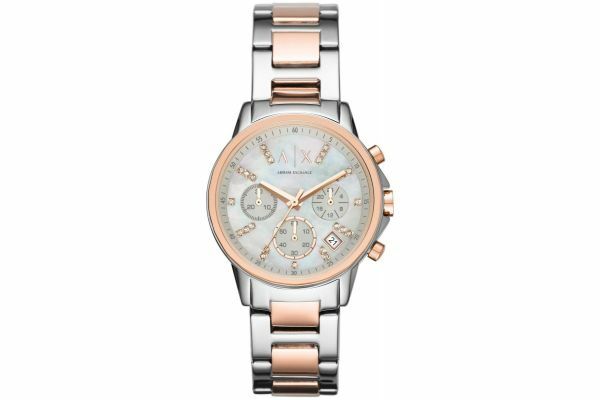 This sporty watch features a chronograph/stopwatch subdial; a 24 hour clock display and a date display window. 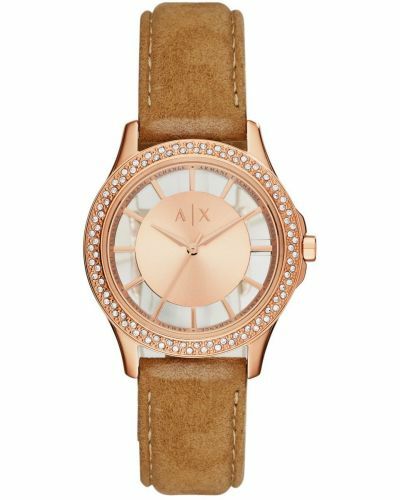 Elegant white crystals adorn the dial in place of hour markers whilst stunning rose gold batons complete this sophisticated dial. 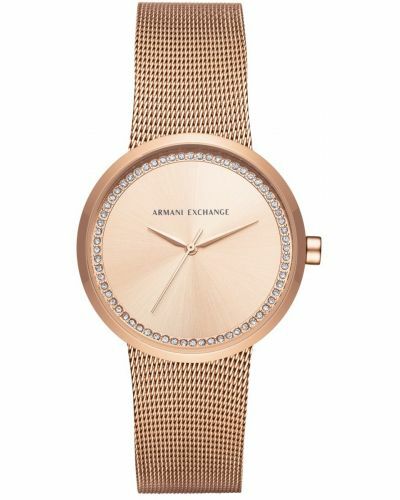 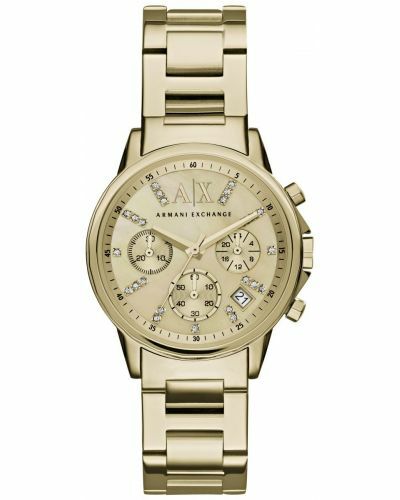 Set upon a polished stainless steel and rose gold plated two tone link bracelet; this elegant Armani Exchange watch fastens with a secure deployment clasp with push button release. 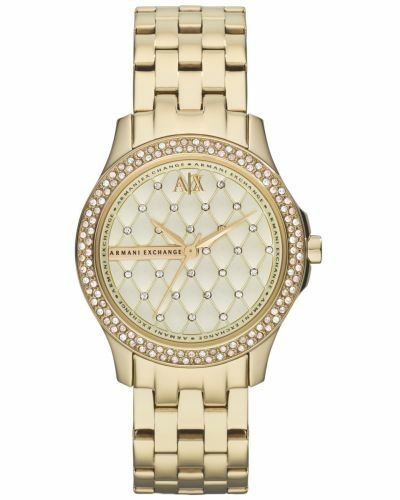 Powered by Quartz movement and protected by mineral glass this alluring watch is water resistant up to 50 meters and comes complete with a two year guarantee.